A lightweight octagonal wood and skin drum made in India. Can be played with the hands or with the beater supplied. 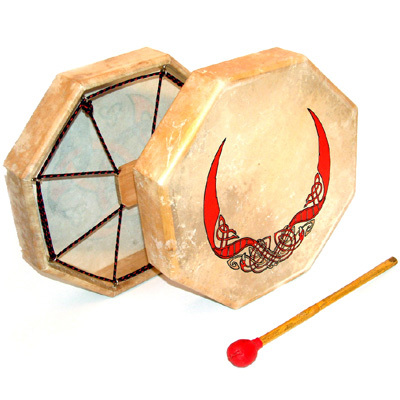 This drum is plain with no design, not as shown. Diameter: 38 cm, Depth: 8 cm.